Ready for a new look? 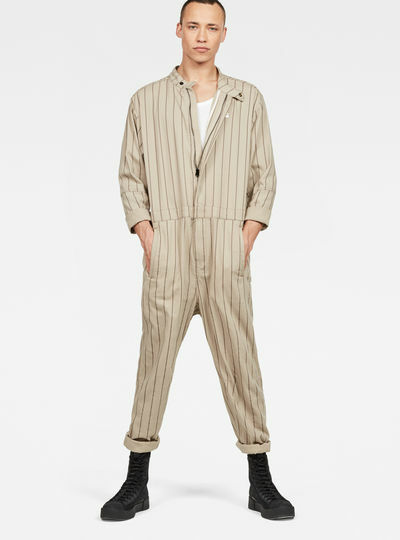 Add a jumpsuit or overall for men to your wardrobe. 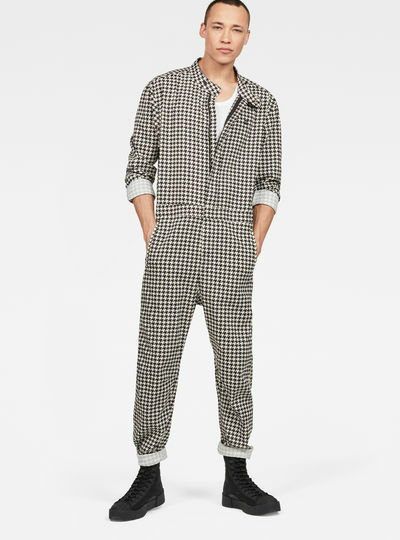 Jumpsuits and overalls are back in the fashion world. Not only for woman also for men! And we understand why. They give you a sturdy or even sophisticated but always easy going look. At G-Star RAW you’ll find overalls for men in different styles all inspired on classical work wear. 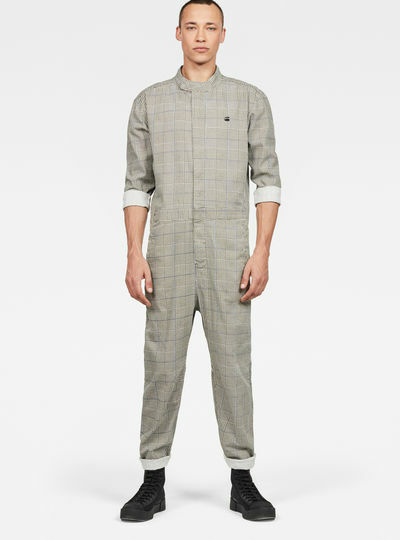 From the sturdy denim men’s dungaree for a casual style to a classy checked racer jumpsuit to match your party outfit. 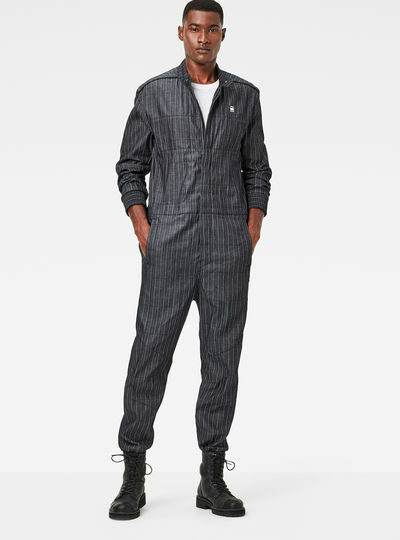 The options in combinations for jumpsuits and overalls for men are endless. For example match your overall with a basic shirt and sweater. You can wear it with a nice pair of sneakers for a sporty and comfortable look. And don’t forget to match your jumpsuit or overall with the right accessories like a scarf or beanie for the finishing touch. Order you men's denim overalls online! 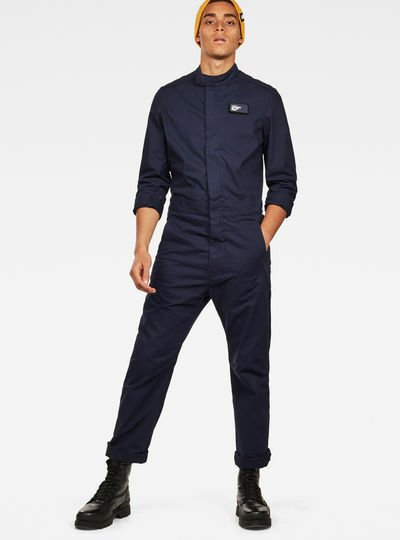 G-Star RAW has jumpsuits and overalls for men available in different colors styles and materials. Go for a plain dark blue overall a loose denim dungaree or a printed racer jumpsuit. 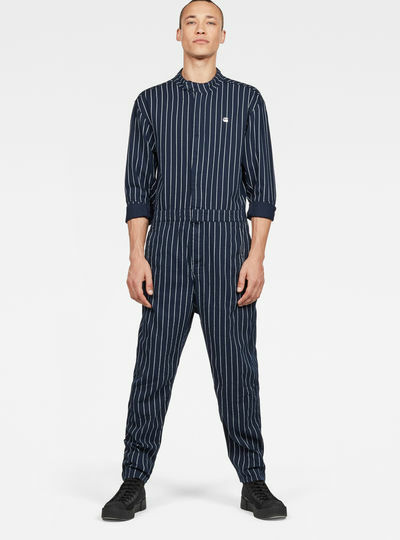 Looking for jumpsuits and overalls for men with that unique G-Star RAW style? 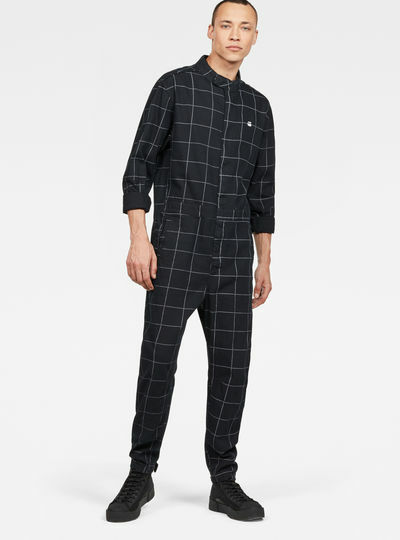 The main benefit of ordering in the G-Star RAW online store is that you never have to wait long to start wearing your own G-Star RAW men’s jumpsuit. Ordering has never been easier. Pick your favorite overalls and jumpsuits in our online store and order them online!